The 2014 releases provide amazing new features for graphics and alarm management & visualization, which span InTouch, System Platform and Historian. While the rest of the pack of HMI vendors are still trying to make their graphics look shiny, Wonderware is completely redefining what industrial users should expect from an HMI and Supervisory System. With complete focus on Operational Agility, Engineering Efficiency and Real-Time Performance Mastery, the 2014 release is one of the most significant breakthroughs in HMI design in over 20 years: A superior approach to presenting information means less time to orient to the problem, greater focus on awareness and information and more useful informational displays. New advanced alarm aggregation to focus on the real problem, with proper use of color to enhance operator performance and not distract or cause fatigue. Customers enjoy a real “Expert” in a box, benefitting from Best Practices beyond mere clipart, with fully functional and integrated symbols and wizards to help use them. The unique Wonderware standards-based approach to application development ensures consistency across the entire business, significantly reduces time to value for new projects, and simplifies training requirements for new and less experienced employees. Users get real-time performance graphics for operational excellence, not just levels and pressures, but meaningful graphical visualization in real-time. Real-time information displays customized for operators and supervisors provide immediate actionable information on any device, from any location to empower a mobile workforce. 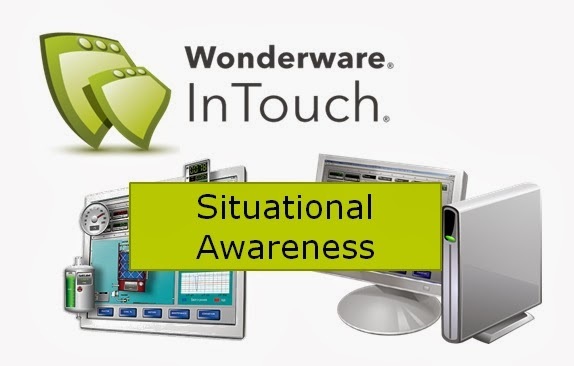 Situational awareness is what customers really need, but it’s not a feature or a few symbols or “gray” screens; it’s what they get from using a uniquely integrated set of purpose-built tools; it’s what they get when they use Wonderware. With InTouch and System Platform 2014, Wonderware is the only industrial software company providing out of the box solutions that go beyond great graphics to deliver solutions to the core operational performance challenges and opportunities for customers in all industries.